This book makes a critical contribution to the study of pan-Africanism and the education of African people for continental African citizenship. It is a unique endeavor in that it intersects the social history of pan-Africanism and the education of African people at a 'global' level and provides reflections from a multidisciplinary perspective on the urgency for continental pan-Africanism educational system in order to produce a more renascent African for the twenty-first century. 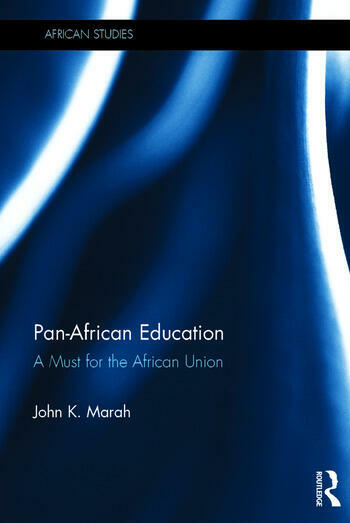 Arguing that Pan-African Education is a mass-based educational system that will ‘craft’ a pan-African African personality, John Marah calls for integrated African school systems and curriculum changes conducive to larger social integration and institutionalized pan-African educational processes. The establishments of pan-African Teachers Colleges; intensive language institutes; pan-African literature courses; the training of African military and police forces; the use of music, sports, media and other extra-curricular activities (the hidden curriculum), etc. ; are viewed as essential aspects in the socialization of a pan-African character or personality. Pan-African Education is an essential read for students and scholars of Pan-Africanism, African and Africana Studies, and Black Studies. John Karefah Marah is a professor at The College at Brockport, State University of New York, USA.